Writing news and stories… but about other people. It all starts, of course, with getting hit with the writing bug. You have an idea for a story. You bravely sit down and write it. You learn that you don’t know how to write quite yet and you begin to gather experience plucked from other writers farther down the road. Now you are faced with the scary fact that you need to write your first sequel and carry on a story line. You get the wonderful news that the characters you adore will live on. At the same time, you are full of anxiety that a sequel is a daunting thing and you’ve never tried one before. Bravely you forge forward and write a sequel that meets your editor’s approval. Cover reveals. Release days. Publishers Marketplace announcements. All those days are great days, but they are blips on the actual journey. The true test is the challenge you meet everyday to go out and do what scares you because you might fail– and see yourself instead succeed. Enter to Win a Signed Copy of Book One, Grudging, Here. Enter to Win a Signed Copy of Book Two, Faithful, Here. Michelle Hauck lives in the bustling metropolis of northern Indiana with her hubby and two college-going kids. Besides working with special needs children by day, she writes all sorts of fantasy, giving her imagination free range. She is a co-host of the yearly contests Query Kombat, Nightmare on Query Street, Picture Book Party, and Sun versus Snow. Her Birth of Saints trilogy, starting with Grudging (November 17, 2015) and Faithful (November 15, 2016) and Steadfast (December 2017) is published by Harper Voyager. Another epic fantasy, Kindar’s Cure, is published by Divertir Publishing. Find her on twitter at @Michelle4Laughs or at her blog. Today I have Hayley Stone (author of MACHINATIONS and its sequel, COUNTERPART) on the blog, delving into the dragon’s den to answer some questions that may or may not be a little random and/or crazy. Let’s get into the guts of it, shall we? What’s the weirdest place you’ve written about? In a trunked zombie YA novel, I wrote about a hedonistic club for the infected (those who would transform into zombies shortly) where entry required showing your bite mark. Inside, there were also zombies in dancer cages suspended from the ceiling and a lot of nasty stuff going on. It sounds bizarre, but it was supposed to be based off of the crazy parties European nobility had during the black death, their one last huzzah before the end. In hindsight, I’m not even sure that actually happened, historically speaking. I think I was confusing history with an Edgar Allen Poe story, but anyway. It was pretty weird. Honestly, I don’t typically snack and write at the same time. I’m more likely to be drinking something—water, chai tea, or Coke. If you could have lunch with one of your characters, which one, where would you go, and what would you order? Oh, I’d definitely have lunch with Rhona. Probably somewhere casual with burgers, because it’s been years since she’s had fast food and would probably appreciate that. I think I’d also like to take her somewhere bustling with people—a reminder of the world she’s fighting to return to in her universe. If you got sucked into a wormhole through time and space, what time/place would you HOPE to end up on the other side? What (artificially intelligent) kitchen appliance would you most want as your sidekick during a robot apocalypse? My instinct was to say a KitchenAid, because you could probably fit all sorts of weapon attachments onto it, and it could also bludgeon someone to death. But I’m not sure how it would get around its lack of mobility—the thing is so heavy! So maybe a hand mixer instead? A hand mixer of death!!! If you were a dragon, what would you collect and guard in your hoard? Leaving aside all forms of literature, I’d probably collect Funko Pops. Those things are adorable. What kind of apocalypse would you MOST want to see/experience end the world? Zombie apocalypse, no question. First, I think The Walking Dead’s portrayal is entirely too cynical; I believe people would band together fairly quickly, reestablishing society to protect themselves. Second, I already judge buildings for their ability to withstand a zombie horde, so I think I’d do all right. This may come as a surprise, but robot apocalypse actually comes in third on my list, right after alien invasion. Because ALIENS. What kind of apocalypse would you LEAST want to see/experience end the world? A global epidemic of some kind. I hate being sick—plus I’m a slight hypochondriac—so even if I wasn’t infected, I would probably worry about it 24/7 and complain that I’m dying at least once a day. There you have it! Awesome words from an awesome author. 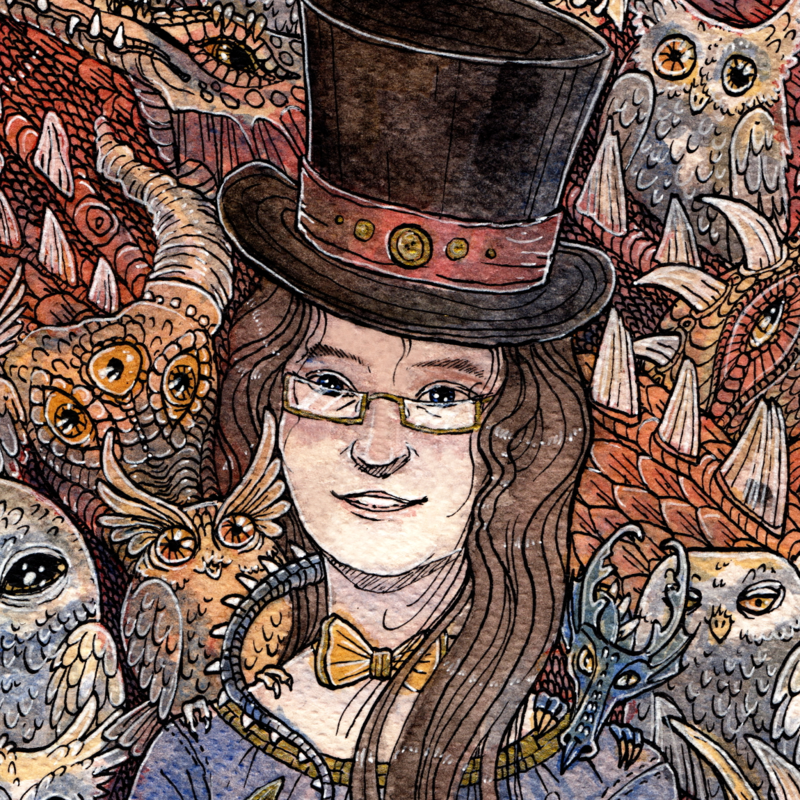 Now go check out her impossibly more awesome books. I’m so excited to be sharing the cover of Kelly Siskind’s MY PERFECT MISTAKE today! Kelly’s a freaking fantastic author, which you can see for yourself with the excerpt below (and a giveaway, too)!